You will love living in this historic 50 unit landmark in the heart of the FW across from-dog friendly- Burnett Park and walking distance to a menagerie of restaurants, entertainment of all kinds, art, theaters, Bass Hall, Sundance Square and lots of shopping! 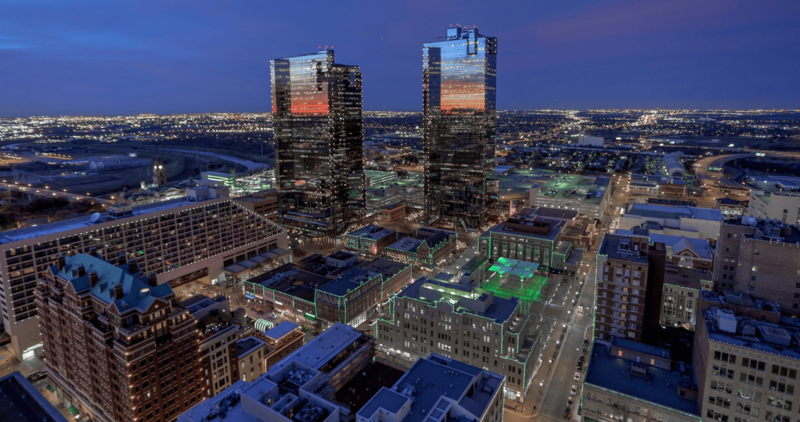 Spacious open floor plan, tall ceilings, original windows, granite and SS appliances, secured storage and 2 parking spaces with stunning views of East-West FW! Large patio with unobstructed view. It is move in ready or a designers blank canvas! The Neil P offers a community lounge, swimming pool, hot tub,spa,water fountains and an outdoor kitchen with several areas to entertain. Easy access all major highways and DFW airport-sports arenas. Selling as is.